Sucralose is a sweetener authorised in the European Union as E 955. The available data show that harmful compounds, some with carcinogenic potential, might occur when Sucralose and especially Sucralose-containing foods such as canned vegetables or baked goods are heated. When Sucralose is heated to temperatures higher than 120 °C a gradual – and with further increasing temperature continuous – decomposition and dechlorination of the sweetener occurs. Temperatures of between 120 °C and 150 °C are possible during industrial manufacturing and processing of foods and are also reached in private households during cooking and baking of foods containing Sucralose. This may lead to the formation of chlorinated organic compounds with a health-damaging potential, such as polychlorinated dibenzo-p-dioxins (PCDD), dibenzofurans (PCDF) and chloropropanols. However, there are currently insufficient data to draw final conclusions, according to the German institute. It is unclear on the one hand which toxic reaction products are generated in detail and in which quantities they are formed when Sucralose-containing foods are heated to temperatures above 120 °C on the other. Moreover, representative data on the levels in thus manufactured foods are required for exposure estimation within the scope of a risk assessment. 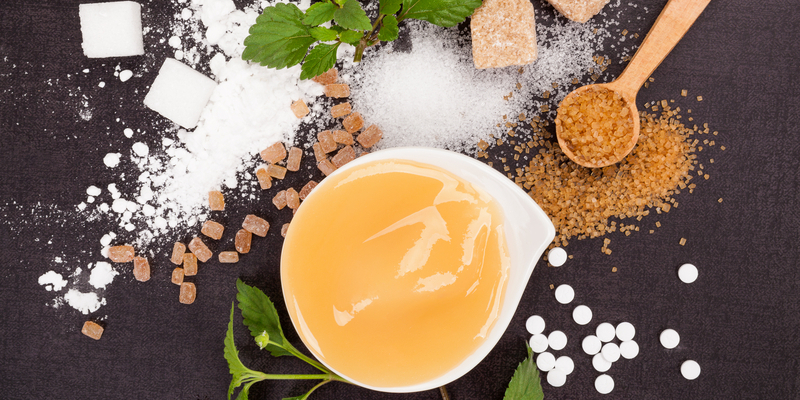 The European Food Safety Authority (EFSA) is also currently dealing with Sucralose in the context of the reassessment of authorized food additives in line with Regulation (EC) No. 1333/2008 and Regulation (EU) No. 257/2010. Until a conclusive risk assessment is available, the BfR recommends not to heat foods containing Sucralose to temperatures that occur during baking. This applies to consumers as well as to commercial food manufacturers.